Digital Shamans are a new record label based in Switzerland determined to bring the most rocking psytrance from around the world to the country's already blasting scene and beyond. 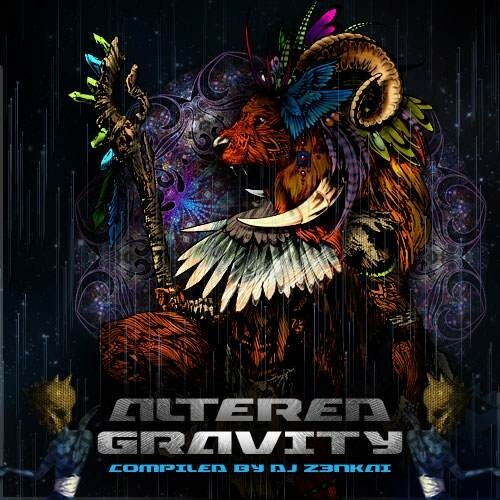 To start this off with a blast they are proud to present the Altered Gravity Compilation, compiled by DJ Z3nkai. The compilation features some of the freshest new artists in the scene (Telepathy, Act One, Aaragorn, Z3nkai) and some well established and trusted names (Dirty Saffi, Loose Connection, D.O.D, Synthetik Chaos, Niria). Ranging from the groovy tempo of 145 BPM to the harder 155 BPM it has vibes to satisfy every psychedelic ravers musical desires. This Compilation has rocketed Digital Shamans to the forefront of the Night-Psy scene and earned the respect of many key players in the scene. Mastered by E.V.P this album is sonically powerful and ready to make dance floors shake and has been tried and tested by many DJs and the labels live acts all over the world. Available on CD and digital, this is a must have album for DJs and listeners alike.